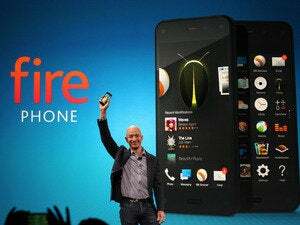 You’d be forgiven for thinking Amazon CEO Jeff Bezos wants to compete with other phone makers with his company’s new Fire smartphone. But forget the multiple cameras and pretty 3-D-like effects, the device is really about selling more stuff. The Fire comes with close ties to Amazon’s online retail store, relies on the company’s cloud storage and is a platform for Amazon’s digital content in the areas of music, video, books and apps. “The goal is to drive traffic and spending within Amazon’s core services,” said Ben Bajarin of Creative Strategies, who studies the consumer technology industry. The company clearly hopes it will be huge. There’s a dedicated button for it on the phone, which could make impulse shopping easier. 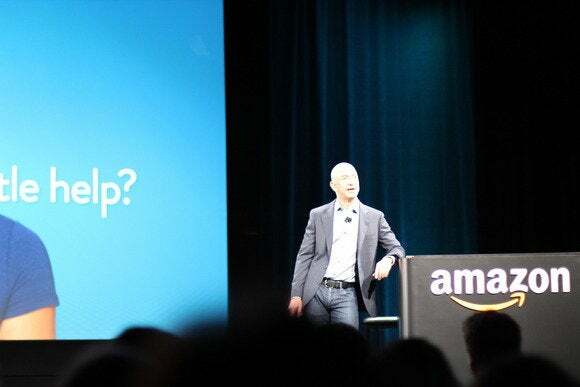 Amazon is offering support to developers so they can build third-party apps around Firefly. Walk into a shoe store, open a running app on Fire, and perhaps you could earn a deal on some sneakers. “It’s a service-oriented device,” said Tuong Nguyen, an industry analyst with Gartner. 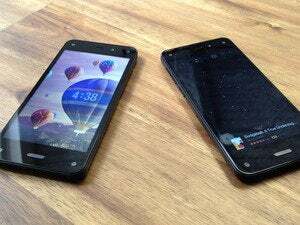 But the company’s first smartphone could be a tough sell to iOS and Android loyalists. The unit’s operating system is a forked version of Android focused on Amazon’s own native apps, which is likely to turn off people who aren’t already Amazon die-hards. To help attract users, Bezos said Wednesday that Fire purchasers would get one free year of Amazon Prime for a limited time. The $99 service provides free two-day shipping and exclusive access to movies, music and Kindle books. Even if the phone is just a moderate success, Amazon also stands to build an even stronger set of data around people’s shopping habits, especially based on their location. “This is an attempt to do something innovative around shopping and e-commerce,” said Creative’s Bajarin. Even if Amazon just sells a couple million phones, Fire could give the company better data about people’s shopping habits that could later be used to evolve Amazon’s service, on mobile or the desktop, he said.